Before adding employees, make sure that you have set up your Account Structure, here. If you have many employees, the quickest way to add them to 7shifts is to import them using our handy importer spreadsheet. The instructions on how to import are listed under Manage > Employees > Import. 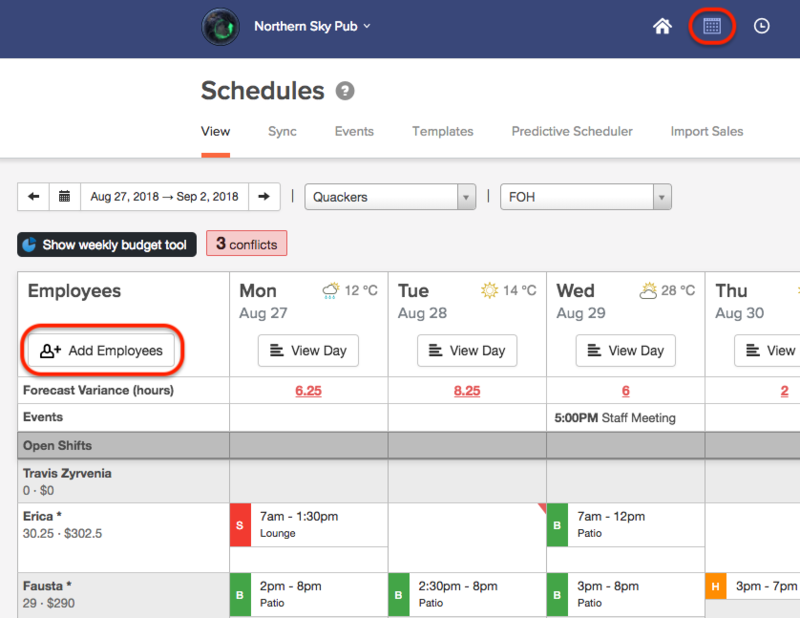 Once you import the spreadsheet, your employees are populated into 7shifts and you have the option to invite employees at that time. If an employee is a manager or assistant manager, select 'Manager' or 'Assistant Manager' from the "User type" drop-down menu and a list of permissions will appear. You can customize which permissions you want them to have. Click here to learn more about manager permissions. 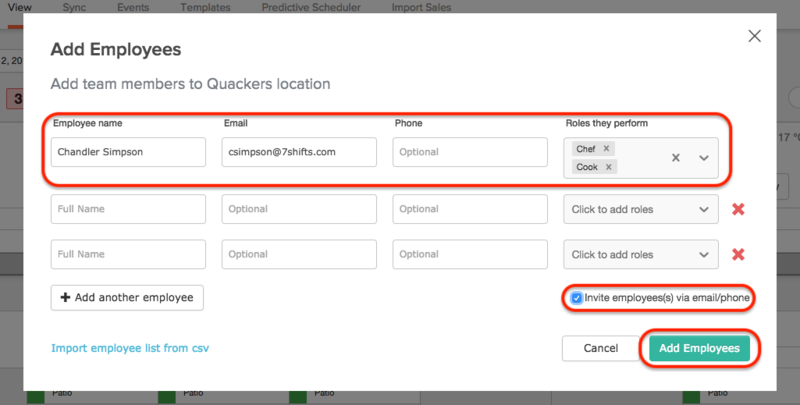 Employees can be added directly from the schedule allowing you to add new employees on the go. Schedule them for shifts without having to navigate away from to schedule. You will be taken back to the schedule and can begin scheduling these employees right away. Head to Manage > Employees to input additional information for these employees such as wage, skill level, etc. Employees will be able to customize their notification preferences in their own account. For example, if they don’t want to receive text messages, they can edit notifications so that they only get emails.